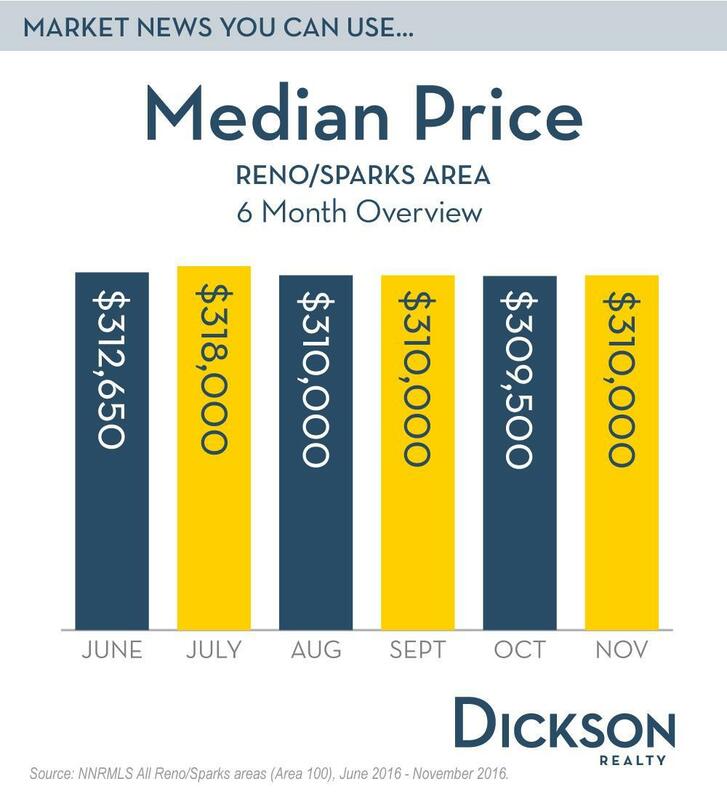 At the end of November, the median home price for the Reno-Sparks region stagnated its decline from the summer months remaining about the same as it was in October at $310,000. This price is still 5.6% higher than it was at this time last year which continues a trend of growth in the long run. Strong demand for housing, low mortgage rates and healthy job growth in the region will continue to drive median price up over the long term, especially in the most affordable price ranges. The Average Days on Market continued to rise through November. An increase of 5 days or 5.5% was seen since October which marks an increase of 22.8% since the near record low of 79 in June. We expect the Days on Market to experience the typical seasonal increase now through early next year, as me move through the holiday season and winter months. Are you planning to sell your Northern Nevada home in 2017? We would be happy to provide you with a complimentary home valuation. We work with a stellar team of professionals to ensure that your home is viewed by qualified buyers so your home is sold quickly and for a fair price. For more information on the Reno-Sparks housing market, call us at 775-453-4568.